Davyhulme WWTW serves a population of 1.2 million people around Manchester and is one of the largest waste treatment plants in Europe. Following many system upgrades the plant now uses anaerobic digestion to treat sewage, producing Biogas, which is 70% methane making its properties very similar to that of Natural Gas. 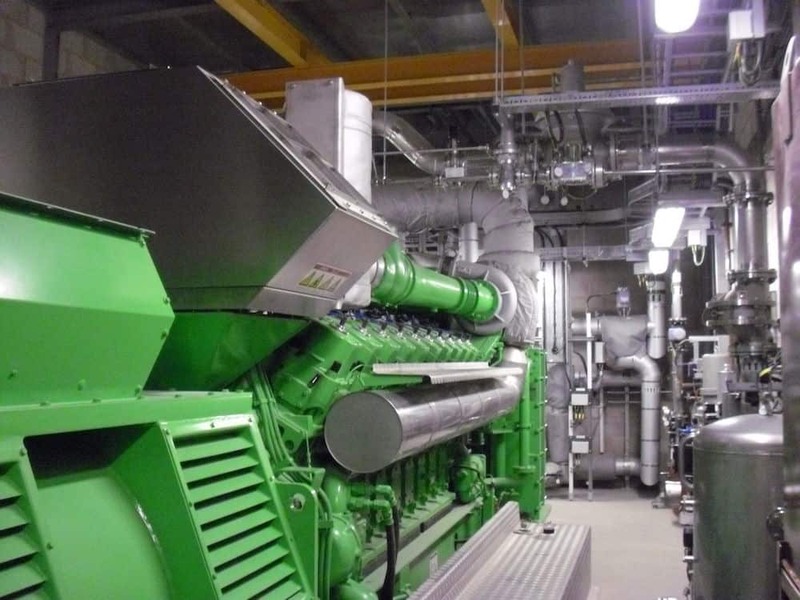 As part of United Utilities Carbon Reduction commitment they want to extract as much energy as possible from the sewage that they treat and in order to do this they now harvest the biogas and generate electricity via CHP’s to power their process and feed electricity into the National Grid. 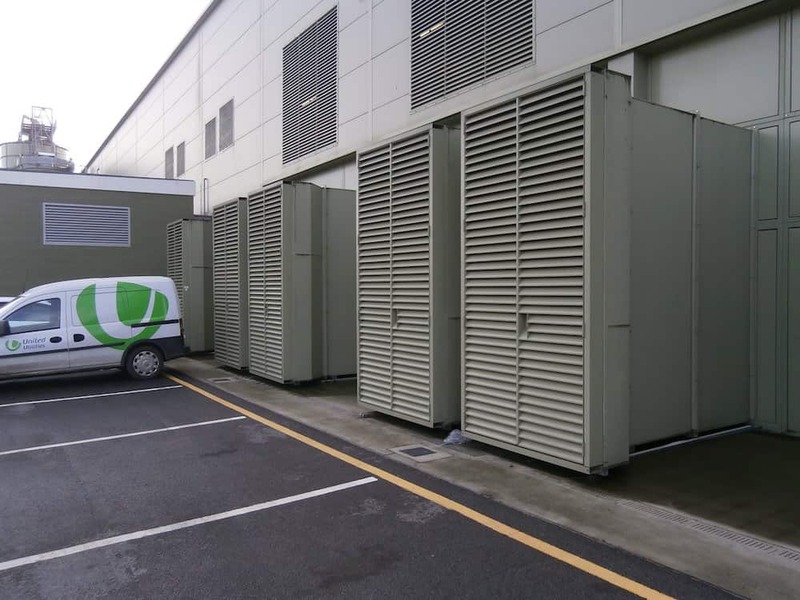 Kimpton were employed to design, manufacture and install an acoustic enclosure solution in order to keep the five 2.4MW gas engines quiet. 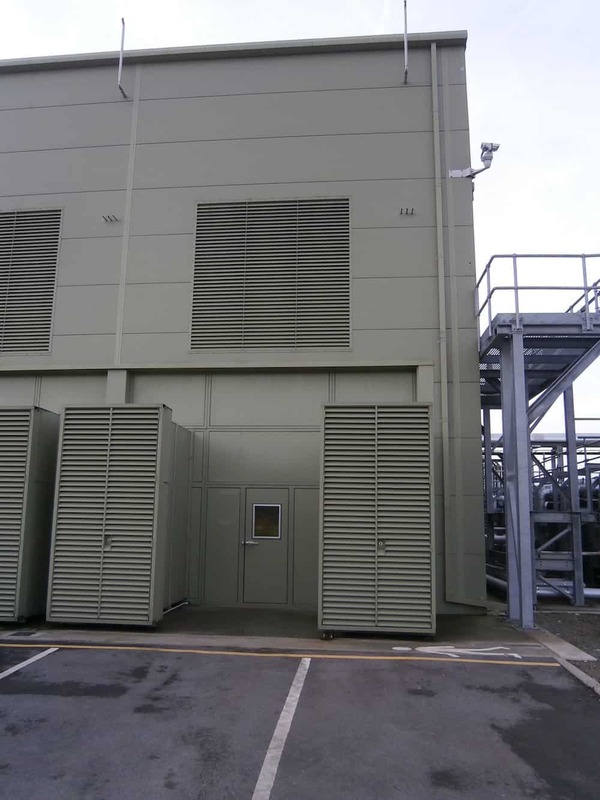 This was achieved with the installation of a steel framework, acoustic panelling and access doors along with the attenuated filtered engine cooling and combustion ventilation.